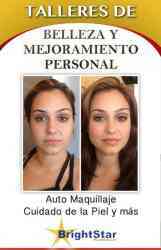 Se nesecita Maguillista para dar Classes y Taller de maquillage para tu cita favor me al 404-823-3049 Celeste. Atlanta Spanish Classes offered in Midtown, Downtown, and Buckhead. Call us for a vast variety of choices of learning and practicing Spanish in Atlanta, GA!